With doubts over Alvaro Morata's future in London, Gianfranco Zola said the 26-year-old has to deal with the pressure at Chelsea. 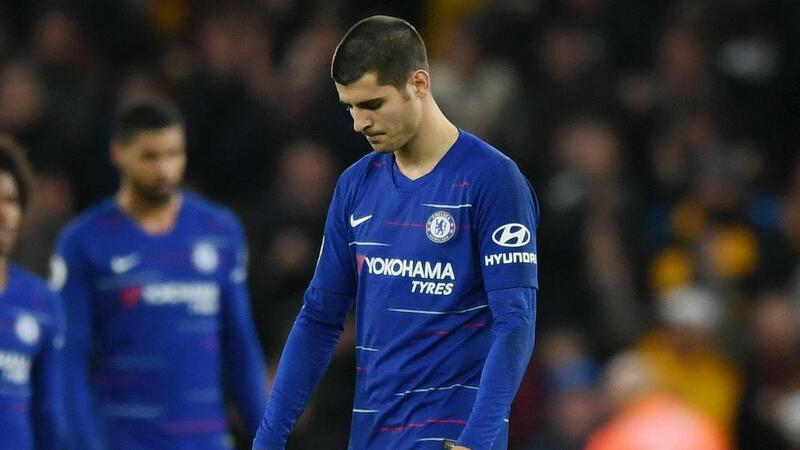 Alvaro Morata must embrace the weight of expectation at Chelsea as the misfiring forward continues to struggle, according to Gianfranco Zola. Morata has only managed five goals in the Premier League this season and seven in all competitions amid links with Sevilla and AC Milan. Chelsea spent around £60million to prise Morata from Real Madrid in 2017 but the Spain international has struggled for goals and confidence after a promising start to life at Stamford Bridge. With doubts over Morata's future in London, assistant coach Zola said the 26-year-old has to deal with the pressure at Chelsea. "It should be a motivational thing," said Zola. "You are at Chelsea, you are not playing for Southampton or Brighton with all due respect to those clubs. "People expect a lot from the number nine at Chelsea. They expect a lot of goals and good performances. This is normal, he has to get used to it. "If he goes to another big club it'll be the same - there is no way you can avoid your responsibilities. "It's part of your job and if you can handle that then the better you're going to be." Zola added: "Technically Morata - and this is the reason we invested a lot in him this year - we thought he was the perfect number nine for us. "Maurizio [Sarri] has always said that. Technically without doubt he is one of the best in this position. "I think he has to improve a little bit tactically because nowadays with the type of football, football is so organised you need to get better tactically, your ability is not enough. "In my opinion he needs to improve on this. He's been working on that, he has a good attitude. He feels that he doesn't score enough and he feels a lot of responsibilities for that. "But he has to learn to put everything behind because these are only burdens that you take on the pitch and they don't help you to perform better."